It may look complicated to apply a protection layer to your smartphone screen, but in reality, it’s far easier than it seems. 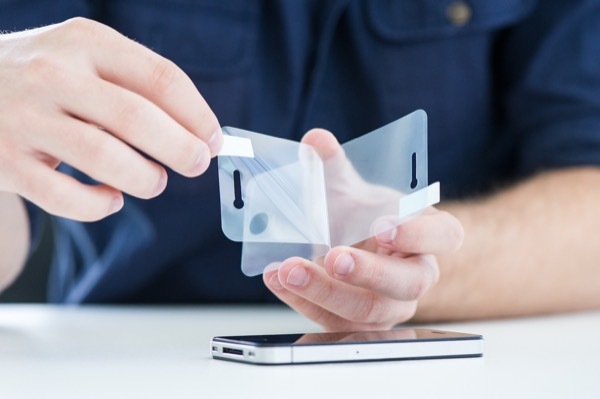 Special sprays can help protect your smartphone display and don’t leave air pockets behind. There are also special layers that provide a mirror or privacy protection. The former is fully transparent when the display is activated and becomes a mirror when it’s switched off. The latter limits the display’s viewing angle to about 30 degrees. Plastic, glass or sprayed on: Protection options for your smartphone 0 out of 5 based on 0 ratings. 0 user reviews.